As a matter of fact to some people, the concept of cloud computing is still a mystery. For them, this article aims to present the main characteristics of cloud computing, offering a short introduction and a list of advantages. So, what is cloud computing referring to? With cloud computing, a person or a company is able to take advantage of the software or hardware that is provided by another company through the Internet. 2. Is cloud computing technology useful? Believe it or not, we all use cloud computing in one way or another, even though we are not aware of this. For example, when we want to search something on the Internet and we type the key words into a browser, our computer is nothing more than a messenger and its involvement is minimal. The answer is searched by thousands of clustered PC and not by your computer. The same idea is behind the e-mail too. When sending an e-mail, we are not forced to do this from our computer, as we do not need a certain program to be installed on the computer and allow us to do this. 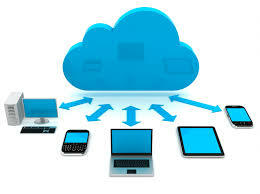 Cloud computing services make everything simpler, easier and cheaper. 3. Which are the advantages of using cloud computing? First of all, another company is providing the service and you do not have to worry about the actions that are behind this service. For example, if you use reliable cloud computing for creating some documents, you will not need a special license for the software that is used for word-processing and also you will not have to think that the software is no longer up-to-date. Moreover, you will no longer have problems with viruses. Another major advantage will be much appreciated by companies. If your business has nothing to do with computers, there is no need to worry about buying and then maintaining a computer system. You will not need to hire a person to upgrade software, run anti-virus programs or repair those computers that have problems. You are interested in keeping everything as simple as possible and you want to concentrate on your main activity and this is what cloud computing offers. These days, when security is problematic, it can be considered as a true relief to be able to leave this responsibility in someone else’s hands. With cloud computing, you can pay only for the services that you need and you can expand by purchasing new services only if your business requires this change. If you are looking for more services like small business IT support check this great site for further information. This entry was posted in Technology & Internet on September 17, 2015 by Andre Lanctot.